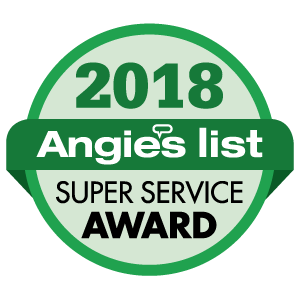 McCarty Mulch & Stone has earned the service industry-coveted 2016 Angie’s List Super Service Award, an honor awarded annually to approximately 5 percent of all the companies rated on Angie’s List, the nation’s leading provider of consumer reviews on local service companies. WHY MCCARTY MULCH AND STONE? There are many reasons why you should choose McCarty’s brand of landscape products. Three good reasons come to mind. Quality, Quality, Quality! McCarty Mulch uses only the highest quality materials available; insist that your mulch comes from a quality source and not a construction site, such as plywood or ground up 2×4’s. Be cautious, not all mulches are created equal, and to prove it we have a 100% satisfaction guarantee. McCarty Mulch & Stone manufactures and processes our own line of mulches, fines and soil/compost blends. By being able to control the process from start to finish we save you the customer time and money. The cycle begins when we purchase the hardwood raw material from lumber mills in and around the Midwest and source virgin wood fiber from land clearing operations, we then truck the material to our production facility located on the south side of Indianapolis. The material is then pushed into various piles for aging. Aging the material at this stage gives our mulch its uniform color and sets the stage for its ultimate future, to become premium mulch. Next, after aging the mulch it is then processed through a series of screens and grinders. This stage will give the mulch its uniform size and consistency. Finally, it is relocated to its final pile where it awaits loading, either directly onto your truck or onto one of our trucks to be delivered to your driveway. Buy direct and save! McCarty’s mulch is an excellent way to reduce maintenance and conserve moisture. Mulching controls unwanted weeds, helps to prevent soil erosion and enriches the soil with nutrients for better growth. Finally, all McCarty’s landscape products will give your home or business a fresh, decorative and appealing look all season long. Shop Our Rock, Stone, and Mulch Now! McCarty Mulch & Stone is a central Indiana supplier of landscape supplies and products for homeowners and the landscape industry. Products include mulch, decorative rock, natural stone, soils, grass seed, tools and much, much more. We believe that when it comes to landscape products, quality is priority #1. That’s why we manufacture and process our own line of bulk hardwood mulches, hardwood fines mulch, and color enhanced mulch products right here at our facility located near Indianapolis, Indiana. Be cautious, not all mulches are created equal and to prove it McCarty’s offers a 100% satisfaction guarantee. We proudly provide mulch products to homeowners and landscapers alike throughout central Indiana, including cities like Greenwood, Carmel, Westfield, Indianapolis, Fishers, Avon, Plainfield, Franklin, Bargersville, McCordsville and Geist. Choosing the right mulch for your yard project is essential to the long term health and beauty of your landscape. Indianapolis and all Central Indiana residents can rely on McCarty Mulch & Stone for their mulch, topsoil, and decorative stone needs. We strive to make each customer’s experience unique, helping you find the right product to make your yard the envy of the neighborhood. Choose McCarty Mulch!